The Australian Open in Melbourne is the best proof that the clocks in “Down Under” still tick a little differently. While in the remaining three Grand Slam tournaments, the men’s and women’s semifinals are on the same day, this is not the case in Melbourne. The first finalist is already determined on Thursday and then has 24 hours more regeneration time than the final opponent. Surprise man Stefanos Tsitsipas and Rafael Nadal will determine the first finalists. The up-and-coming youngster from Greece was also able to convince in his first Grand Slam quarter-finals after the great victory against his idol Roger Federer. He defeated Roberto Bautista-Agut in four sets, thus preventing a Spanish duel. 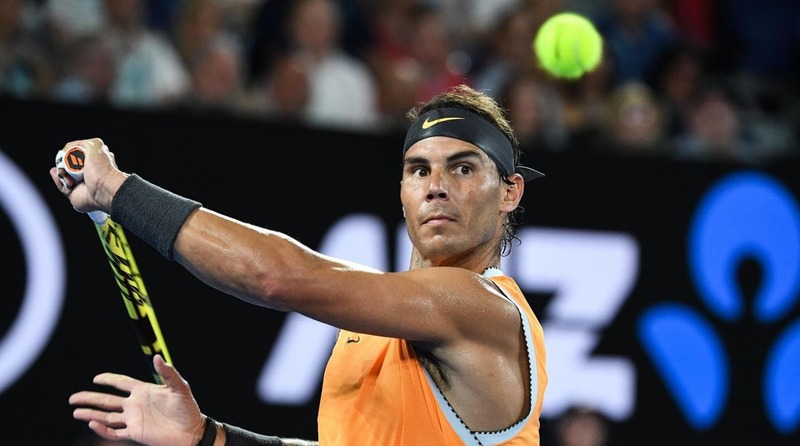 Rafael Nadal had no problems against another youngster, the American Francis Tiafoe, and marched effortlessly in three sets in the semifinals of the Australian Open. For the bookmaker Nadal is against Tsitsipas according to current odds of the house-high favourite. A Husarenritt as against Federer Tsitsipas is not once again dared. But is the Greek actually as blatant outsider, as it want to convey the odds? Current ranking in the world rankings: 2. Actually, even before the quarter-finals, it was clear that Rafael Nadal will have no problems against the American Frances Tiafoe. Tiafoe was a good distance from his top level, so Nadal had an easy time and was clearly superior. This confirmed the impressive balance of the Majorcan against the Americans. At the US Open 2005 Nadal lost for the last time against a US boy (James Blake). The win against Tiafoe was the 21st win in a row in a grand slam against an American. With the success Nadal is also the 30th time in the semi-finals. The 18th title win – so he would only two titles behind Roger Federer – is absolutely realistic with his previous achievements. Nadal is somewhat reminiscent of Roger Federer of 2017 these days. Nadal played his last game on the ATP Tour at the 2018 US Open; after the win against Dominic Thiem he had to give up in the semi-final against Juan Martin del Potro. Many fans were very worried that he would have to treat himself to a long injury break again. Without preparation on the tour it went to Melbourne and so far acted Nadal strong as a bear. Without set loss, he marched into the semi-final, the results were absolutely clear against both emerging youngsters like Alex de Minaur and against a veteran like Tomas Berdych. Nevertheless, Nadal pays tribute to his semi-final opponent, Tsitsipa, and foretells the Greeks a glorious future. For him, he brings everything to become one of the biggest on the tour. In his current condition, however, the Mallorcan is of course the big favourite. But between Nadal and Tsitsipas, a tip on the win in favourite at the current odds does not pay off. The fifth 3: 0-sentence success, however, is not necessarily expected. Both de Minaur and Berdych and Tiafoe were far from Nadal’s own top form; The Spaniard has not really been challenged yet. Current ranking in the world rankings: 15. The young Greek certainly has the quality, the talent and the confidence to become dangerous to Nadal. The 20-year-old already stated in the winner’s interview after the Federer match that he believed in his chance right from the start. After the victory against his idol and the confirmation in the game against Bautista-Agut self-doubt will certainly not exist. 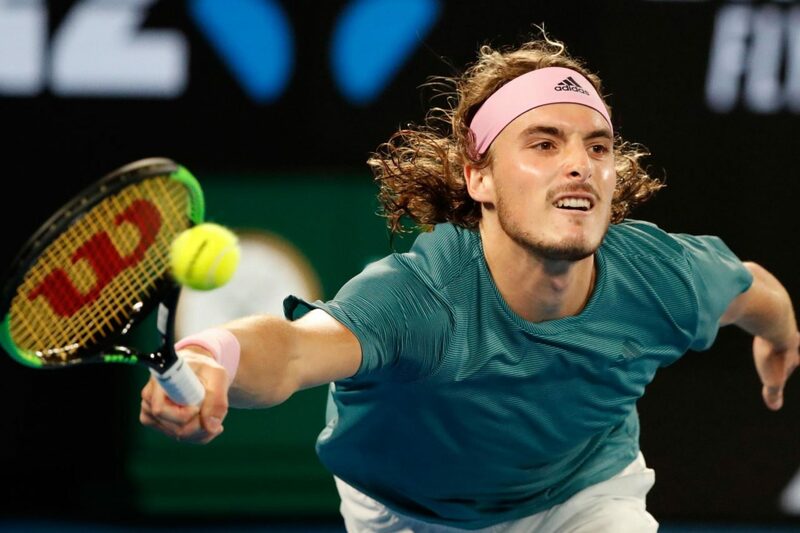 The sympathetic Tsitsipas has played down under the hearts of many fans. After the success against Bautista-Agut, he was also relieved that he could prove that the Federer game was no coincidence. This has often been the case, when a young player acts much weaker after a great performance in the upcoming game. His premium rate (57% first markup) was significantly weaker than Federer’s, but when his first serve came, he was outstanding (84% of the points). In the end, 68 Winnern faced only 38 unforced errors. Tsitsipas is extremely stable for his age and motivates himself with self-talk on the pitch again and again. The 20-year-old is the youngest Australian Open semi-finalist in 16 years; then Andy Roddick reached the semi-final. Many exile Greeks live in Australia and the youngster is accordingly popular with the fans. His offensive playing style and down-to-earth style are also another aspect that make him a crowd pleaser. With his confidence, Tsitsipas is extremely dangerous and he also showed against Bautista-Agut that he can handle setbacks. In sets one and three he caught a break residue and won the round. Between Nadal and Tsitsipas, the tip on the youngster’s win is too risky, despite the attractive odds. However, there will hardly be a kill and accordingly we like the odds on the set handicap +2.5! In Barcelona, ​​on the beloved clay court of Rafael Nadal, the first meeting between the Mallorcan clay court king and the up-and-coming Greek youngster took place last year. However, on sandy ground Tsitsipas was completely overwhelmed and skidded in the final of Barcelona in a fierce 2-6 and 1-6 debacle. The second duel was a final. At the Masters tournament in Toronto, Canada, Nadal stopped the young Greek’s run of success (before he defeated Dominic Thiem, Alexander Zverev, Novak Djokovic and Kevin Anderson in a row). With 6: 2 and 7: 6 the victory was already much shorter. For Rafael Nadal, a Grand Slam semi-final is almost “business as usual”. After all, he denies on Thursday for the 30th time a GS semi-final. His counterpart is not only several years younger, but will contest his first Grand Slam semi-final in the Rod Laver Arena. Tsitsipa’s semi-final is definitely a big surprise, but he certainly deserves it. Nadal is the only player to have a clean slate – on the way to the semi-finals he stayed without losing a set! Nadal won the two previous games against Tsitsipas without a set loss! The 20-year-old is the youngest semi-finalist in Down Under in 16 years! After five 3-0 victories Nadal is also absolutely deserved in this semi-final round. So far, the Mallorcan was not required in his tour comeback yet. However, we can not imagine the next clear success of the number two in the world against Stefanos Tsitsipas. Nadal plays at a very good level, but his opponents have often made it very easy for him. Not only Nadal is convinced that Tsitsipas brings qualities that allow him to soon be at the forefront. The youngster also impressively confirmed the Federer victory. Before the match between Nadal and Tsitsipas, the analysis shows that the Greek can annoy the favorite. For just a set win by Tsitsipas against Nadal, the odds are already at 2.00 – these odds are extremely high and are alluded to with six units!